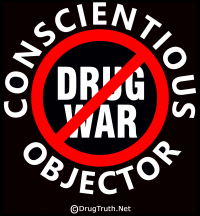 Greg Gladden, ACLU attorney will be our guest to discuss the drug laws, the "Fatherland" bill and many other aspects that impact our freedoms. Al Giordano, noted journalist and publisher of narconews.com. The politics of Colombia, the investigative reporting that alerts us all to the real truth in Mexico, Central and South America. We will discuss the news from Tulia, Texas, where 39 black people were arrested in one night. Local newspaper headlines said: "Taking out the Garbage." These people were tried by all-white juries and given prison sentences ranging to the hundreds of years. Sen. Pierre Nolin and Eugene Oscapella of the Canadian Drug Policy Foundation discuss a Canadian Senate report calling for legal cannabis, freeing the prisoners and leaving the single convention treaty. drug law reform in Great Britain and throughout Europe. Judge James P. Gray, author of "Why Our Drug Laws Have Failed and What We Can Do About It." Investigative reporter Daniel Forbes discusses his four-month long Institute for Policy Studies investigation detailing political malfeasance, the misuse of public funds and the inappropriate use of government resources in Ohio.